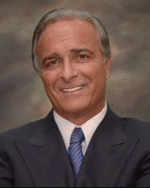 Richard A. D’Amico, MD, FACS, has treated scars and stretch marks for over twenty years. He is on the Board of Directors of the Society of Plastic Surgery Skin Care Specialists and the American Society for Aesthetic Plastic Surgery. He serves on the ASAPS Innovative Technology Committee, which evaluates and makes recommendations on the latest procedures and techniques performed in cosmetic surgery. In 2008, he served as President of the American Society of Plastic Surgeons, the largest association of plastic surgeons in the world. Dr. D’Amico earned his medical degree at the New York University School of Medicine, interned at Georgetown University, did his surgical residency at the University of Rochester, and completed his plastic surgery fellowship at Columbia Presbyterian Medical Center in New York City. He is currently an Assistant Clinical Professor of Plastic Surgery at Mt. Sinai School of Medicine and is the Chief of the Department of Plastic Surgery at Englewood Hospital and Medical Center. He was named as one of the best doctors in New York and New Jersey by New York Magazine and New Jersey Monthly. He lectures extensively and provides expert commentary on plastic surgery to national and international media including The Today Show, CNN, FOX News, and BBC. Scarring is a natural process, but that doesn’t mean that people should be stuck with scars. According to Dr. D’Amico, “Scarring is a fundamental component of the healing process. However, scarring that leads to obvious physical abnormalities, or even impaired movement, goes beyond the scope of what’s natural and necessary.” He encourages patients to look into treating excessive scarring.